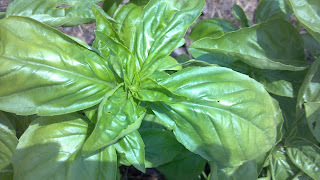 about how basil can grow from seed to harvest in 3 weeks during warm weather. I have never been so thankful for social media. I am breathing again but I might still puke. More chemical crutches would be needed if that conversation had not sparked that memory. You see, some varieties of basil don't get downy mildew. In 3 weeks I can have basil! 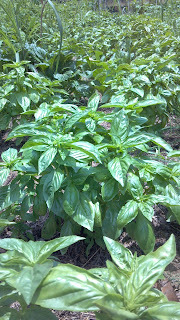 Not the Genovese, but still basil. The light-headedness has not completely cleared, but maybe by tomorrow when the seeds arrive, the dizziness will fade. 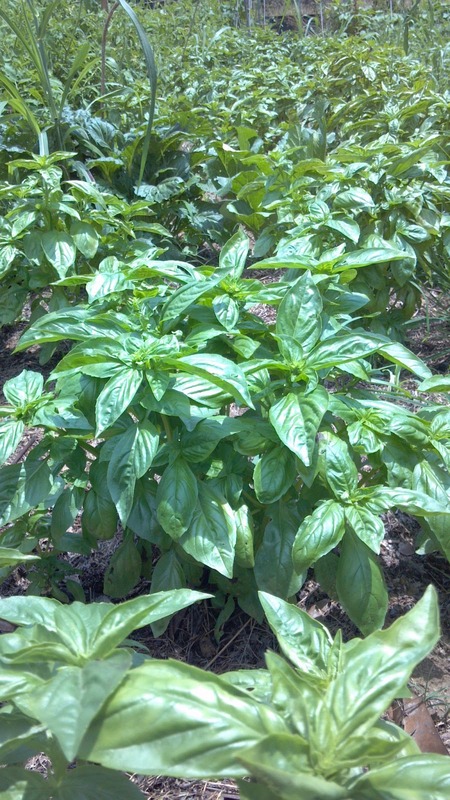 We also have a great crop of African Blue Basil. With some nitrogen and some hedge clippers, I believe we will have that to use in a couple days. It's not the end of the world. Ha! Who am I kidding? This is a challenge that will be hard to overcome. I will miss this basil like a family member. I could give up my furniture and miss it less than this basil.